In 1964, Ken Kesey, the famed author of "One Flew Over the Cuckoo's Nest," set off on a legendary, LSD-fuelled cross-country road trip to the New York World's Fair. He was joined by "The Merry Band of Pranksters," a renegade group of counterculture truth-seekers, including Neal Cassady, the American icon immortalized in Kerouac's "On the Road," and the driver and painter of the psychedelic Magic Bus. 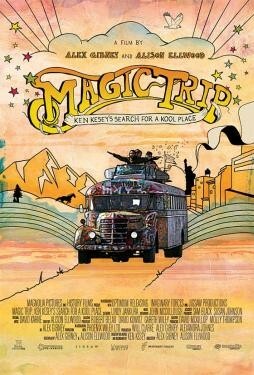 Kesey and the Pranksters intended to make a documentary about their trip, shooting footage on 16MM, but the film was never finished and the footage has remained virtually unseen.